What do you get someone like EB who has everything (including the spirit for adventure)? A flight in a glider of course. 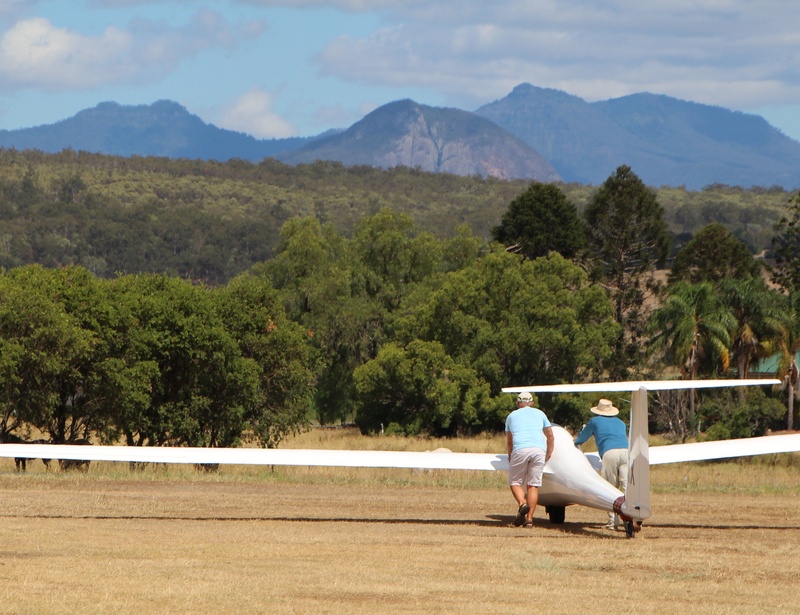 The members of club are serious glider enthusiasts, spending most weekends flying or volunteering there. 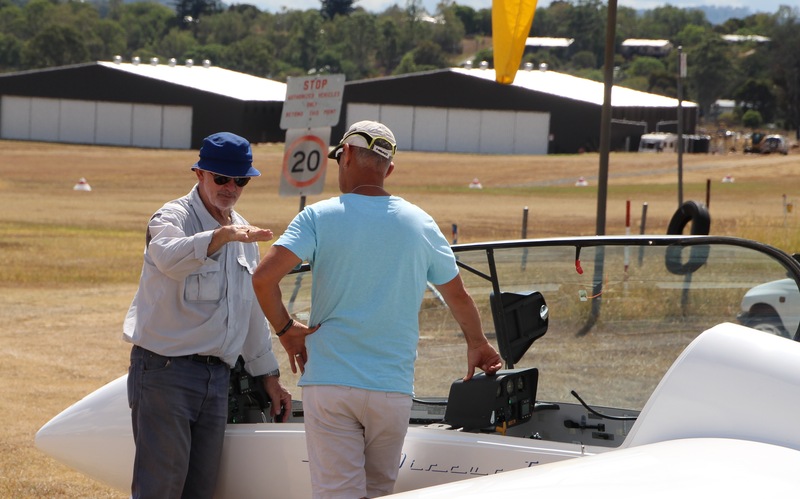 Peter, EB’s pilot, tells us gliding is a great way to start learning to fly because your focus is on what’s going on outside the plane rather than mostly monitoring instruments inside the cockpit. Like Peter, many of the members have impressive military and commercial flying backgrounds. That’s their job, this is their passion. Flying (and being grounded, camera in hand) is thirsty work, so we make a bee-line for Kooroomba Vineyards and Lavender Farm. The building is amazing and clearly timeless. It won awards twelve years ago but looks as fresh as today. And the wine is equally as fabulous. 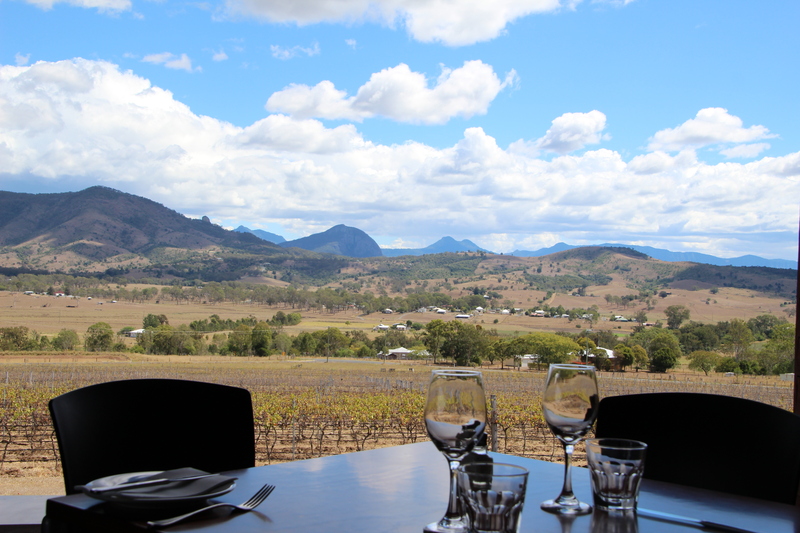 We stay for lunch and vino with a view – and tomorrow we’ll be back for their French music and food festival. As if we could resist. 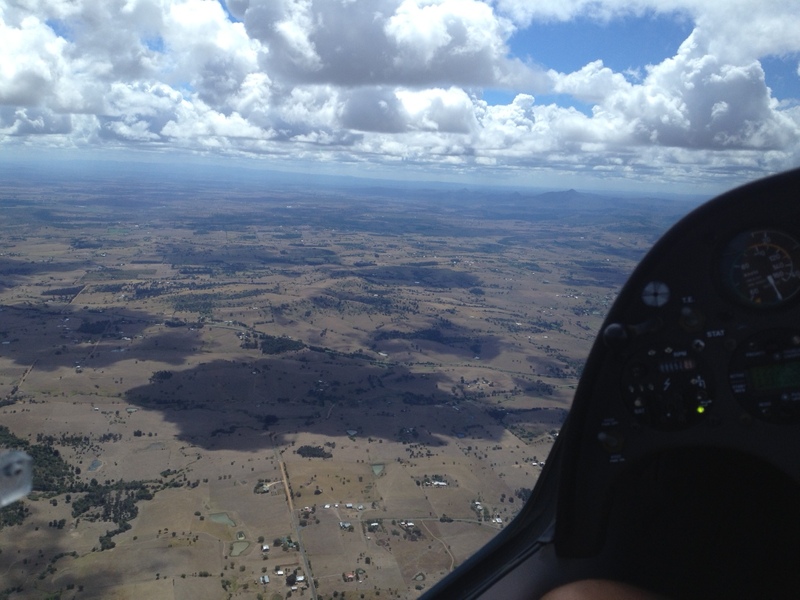 This entry was posted on Saturday, March 22nd, 2014 at 6:49 pm	and tagged with Boonah, gliding, Lake Moogarah, photography, Scenic Rim Australia, travel, wine tasting and posted in Australia, short breaks, Travel. You can follow any responses to this entry through the RSS 2.0 feed.